Laluna was one of the pioneers in the Spice Island, establishing one of the first boutique hotels on the Caribbean island of Grenada. 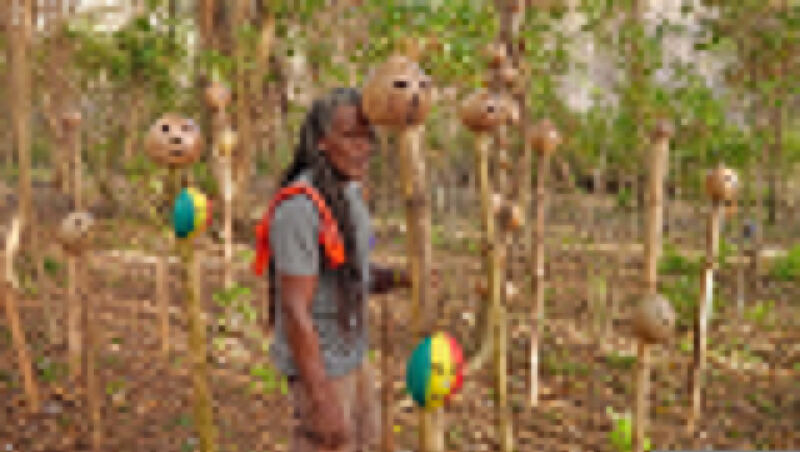 Now they are breaking new boundaries into the art scene with their new Grenada Sculpture Garden. Laluna dedicated part of its prime waterfront land, to its Wellbeing Programme in 2008. Situating their Yoga pavilion and Asian Spa directly on the beach, giving its guests an amazing wellbeing experience in a stunning setting. Laluna has now expanded its programme for spiritual wellbeing, into the Arts. 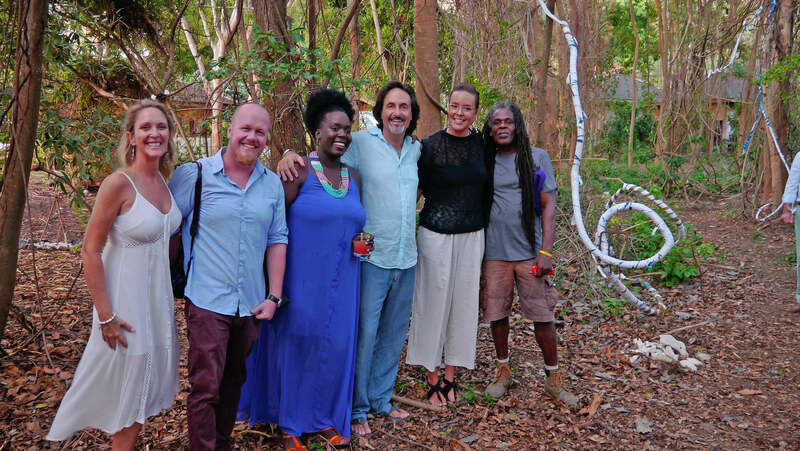 They have created the new Grenada Sculpture Garden, which sits on one acre of prime waterfront land called ‘The Enchanted Forest’, adjacent to Laluna Hotel and the Wellbeing Center. 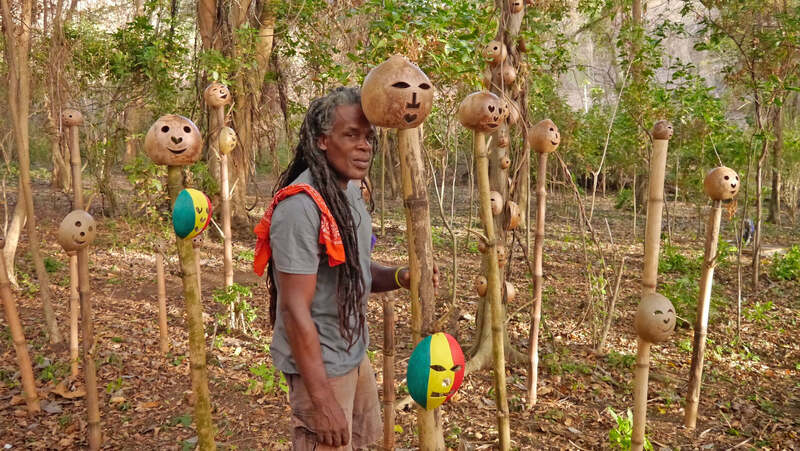 In collaboration with the local artists’ community residing in Grenada, installation ideas for Laluna’s new stimulating project began. The creations are based on the artist’s ideas, being at one with the surrounding nature of the Garden. 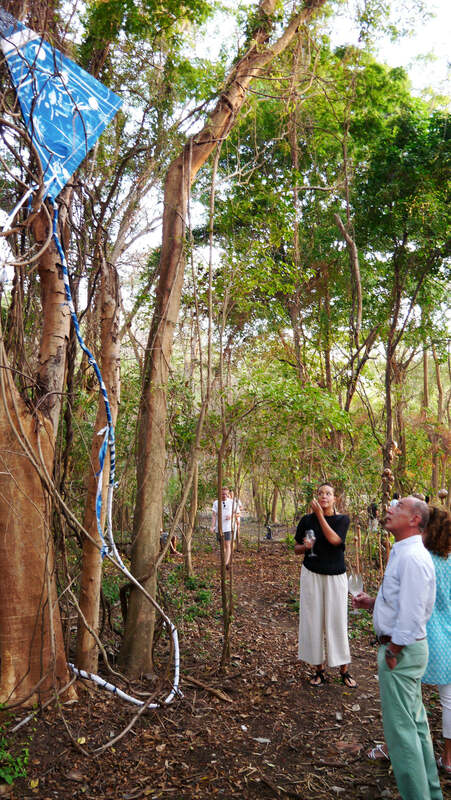 Artists and Members of the Grenada government attended the launch of this new Grenada Sculpture Garden last Friday. A tour was given and an explanation by each artist as to their inspiration and logistics of their creations in the Enchanted Forest. Owners Bernardo and Wendy Bertucci are very excited with the momentum that The Enchanted Forest has taken, and look forward to its evolution. This Grenada Sculpture Garden also is an opportunity to give local artists a platform to show their work to an international audience, while creating a space to experiment on large-scale projects. The next phase said the Bertucci’s, is the creation of the Artists Residency. This will be the creation and building of an art facility, including studio and housing on Laluna’s property. 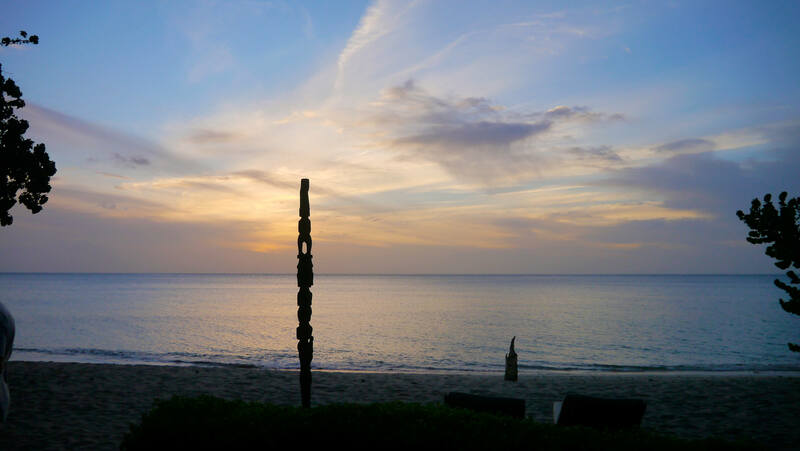 Laluna guests and invited artists will be able to use this studio to create works of art during their stay in Grenada. Invited artists will be encouraged to stay at the Laluna’s Art residency, to horn their craft and offer workshops to other local artists, and local art students. The logistics of local artist frequenting overseas workshops can be difficult, so the Bertucci’s wanted to bring the workshops to them. 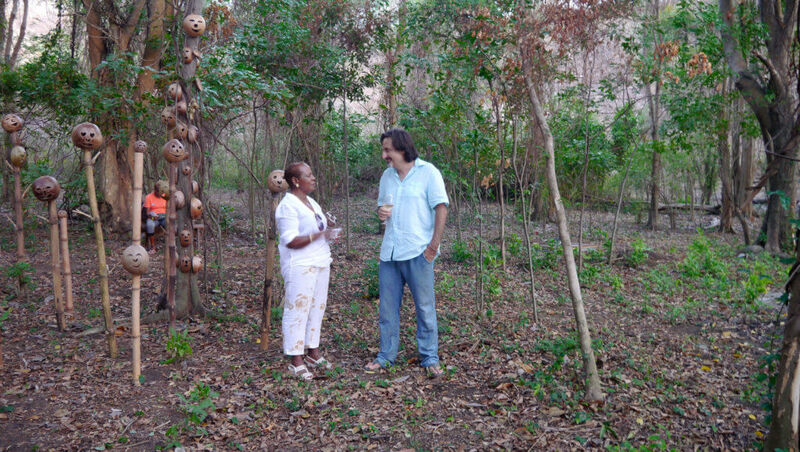 By bringing established foreign artists to Grenada, the Bertucci’s wanted to offer an eye-opening creative outlet so that all may benefit and left feeling inspired. This is all in hopes of offering local artists an opportunity to venture into new creative avenues, that would not have otherwise been available to them. Thus expand the already established artistic content of Grenada art and artists.